Fantasy War Tactics is a recently-released fantastic RPG from NEXON, which is available for Android and iOS devices. In the game, there are 12 regions and more than 180 dungeons for you to explore – the game seems to promise a maximum of 500 – and player-vs-player mode. You can go on adventures with 50 different heroes, with new heroes unlocked after you clear dungeons. You can collaborate with friends and join an adventure with their heroes, take part in different missions, collect various resources and gold from Nephthys Dungeon and Lab, and do so much more in this title. 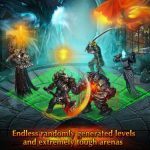 If you’re one of the many who downloaded this game following its release, we’ve got a detailed list of Fantasy War Tactics tips, tricks and strategies for you that deals with a lot of facets of this title. Before entering one of the dungeons in this game, always take a look at the monsters’ party formation by clicking on the magnifying glass. That’s where you can tweak your party’s lineup of heroes to make sure you’ve got a stronger team. The game makes use of a rock-paper-scissors mechanics, so always choose members that have an edge over the monsters. Using a basic example, you can get a 30 percent increase in damage when attacking if you choose a hero that has a natural advantage over the enemy based on the rock-paper-scissors mechanic. This game isn’t called Fantasy War Tactics for nothing. And here are a few other examples of this point. If you attack a monster and your type of terrain has the advantage, that would activate a terrain strategy advantage, giving you a 20 percent damage bonus. And if you attack an enemy from an angle greater than 90 degrees, you’ll get a direction strategy advantage, for a 15 percent damage bonus. 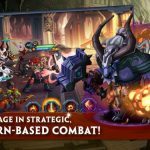 What does Grade SS mean and what’s in it for you as a Fantasy War Tactics player? Grade SS, in case you’re wondering, is the dungeon grade you need to get if you want to get the best rewards possible; the higher your grade, the better the rewards. Reaching SS once means you’ll get that same grade the next time you clear a dungeon, regardless of your score. In addition, Grade SS could give you the boost you need in expeditions and give you better Regional bonuses. As soon as you’ve found the right opportunity, make sure that you enhance and refine not only your equipment, but also your hero. Tweak the equipment you’ve got so that it matches your hero’s equipment and potential options. Skill tiles and potions are both game-changers when it comes to doing battle with the enemy. However, monsters can use them as well, and that’s where your strategy will come in – you can’t just use these tiles and potions at any time and expect to win the battle! As a general rule, it’s never a good idea to use a health potion during a battle that you can win without taking a lot of damage, if at all. In need of a helping hand? You can enlist the help of an ally’s mercenary, so that you can clear dungeons faster and attain higher scores. Better yet, mercenaries can cancel any stuns or de-buffs that your ally may be affected by. There are some heroes in this game that you can only unlock if you take part in certain events, such as the Battle of Honor, Dimensional Breakthrough, and others. These heroes cannot be won directly, which makes it necessary to take part in the special events when you have time. And you can also get some nice rewards on top of hero unlocks. For example, you can earn the game’s premium currency of crystals, as well as additional energy based on your Battle of Honor rank. The Dimensional Breakthrough can net you a lot of gold if you complete its ten stages. Expedition is another type of event where you can get rewards, though these are best used in short bursts. If you’re looking for materials for a Hero upgrade, you should go to Nephthys Dungeon. This dungeon is updated every day, which means you should also be visiting at least once a day to make sure you’ve got a chance at getting different items. Nephthys Dungeon is also a great place for you to pick up refined stones for equipment enhancements, as well as rebirth monsters. Here’s another thing you should keep in mind when you’re in Nephthys Dungeon. 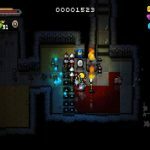 This dungeon’s monsters and boss characters have specific traits, and you can view a detailed “scouting report” for each level to help you formulate a good strategy. 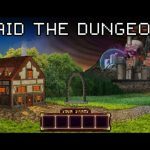 This screen shows you everything you need to know, such as the bosses’ active and passive skills, as well as various statistics and distinct traits that you may want to watch out for while in the dungeon. This should probably go without saying, but as a final reminder before you start playing Fantasy War Tactics, you should always make it a point to collect the crystals you get as a reward for logging in daily. But only use these from the times you need them the most, e.g. for expedition upgrades, as this is a premium form of currency that ordinarily doesn’t come that easy.